I am ADITYA RAJ (GENERAL CATEGORY) from SANATAN NAGAR, SAHARSA, BIHAR. I recently got selected as JUNIOR ASSOCIATE (Clerk) in STATE BANK OF INDIA. It took me just one year to crack this examination and thus I want to share my experience. I completed my graduation (CIVIL ENGINEERING) in June 2017 and subsequently decided to prepare for Banking exams. In the beginning I took demo classes of some of the coaching in Patna but I was not actually satisfied. I was puzzled as I was not being able to plan my Preparation. Then, one day my elder Brother “NISHANT RANJAN” suggested me to visit a YouTube channel (Adda247) and website (Bankersadda). I did so and it was an amazing experience. I was very impressed by the way of teaching of AKANKSHA MAM, RADHE SIR, SAURABH DEY SIR,ANCHAL MAM, SUMIT VERMA SIR. They helped me in clearing all my basic concepts and taught me the right way to approach the questions. In Banking exams, each and every second counts and these faculties guided me to utilize time effectively and taught me how to save time so that one can maximize his/her attempts in examination. I purchased ADDA MOCKS and practiced lots of quizzes from Bankersadda website. These were exam oriented and updated which helped me to conquer even some very unexpected questions in the examinations. Now I will talk about KUSH PANDEY SIR. I don’t have words to express my gratitude towards him. I remember when I failed in GA section (Got 3 marks out of 40) in IBPS PO MAINS 2017. That day, I promised myself that it will not happen again. I started to watch daily “THE HINDU CURRENT AFFAIRS SHOW and ADDA CAPSULE DISCUSSION by KUSH SIR. It proved to be very helpful and improved my GA immensely. I must also appreciate the BANKERSADDA CAPSULE prepared by GOPAL ANAND SIR which is more than sufficient for any Banking/Insurance examination. It was never easy. It took a lot of determination and hard work to taste success. I changed myself completely for this preparation. Apart from study, I didn’t do anything else. Definitely The Moral support of My Mother, My Father and sisters helped me a lot. My father being well linked with education (He is a Gazetted Officer in Bihar Education Service) knows very well that how difficult it is to crack any Govt. examination. We used to sit together after every result and analyse where I lacked and what should I do to improve. (1) IBPS RRB PO 2017- Missed Prelims by 1.50 Marks. (2) IBPS RRB OFFICE ASSISTANT- Missed Prelims by 0.50 Marks. (3) IBPS PO 2017- Cleared Prelims,But could not Qualify in Mains. 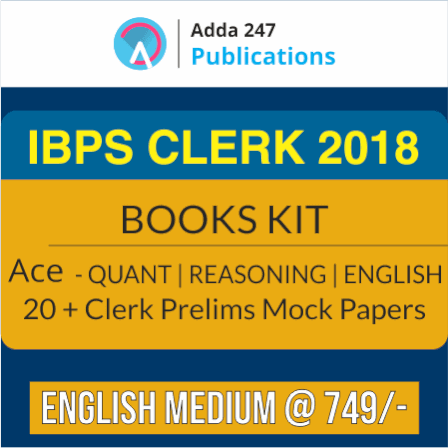 (4) IBPS CLERK 2017- Cleared Prelims,But could not Qualify in Mains. (5) SYNDICATE BANK PGDBF PO 2018- Missed by 2.75 Marks. (6) CANARA BANK PGDBF PO 2018- Missed by 1.75 Marks. (7) IDBI EXECUTIVE 2018- Got selected in Waiting list. (8) SOUTH INDIAN BANK PO 2018- Could not clear the final huedle i.e, interview. 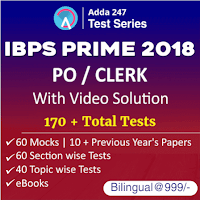 (9) SBI PO 2018- - Cleared Prelims, But could not Qualify in Mains. (10) BANK OF BARODA PGDBF PO 2018- Done with interview, Waiting For Final Results. (11) SBI JUNIOR ASSOCIATE 2018- Got a whopping 92.25 Marks in prelims( Cut off- 66.50), QUALIFIED MAINS. FINALLY GOT SELECTED FOR APPOINTMENT. So, it was my story and my advice to my fellow aspirants will be to dedicate every bit of their effort.Competition has become very harsh and one can’t survive without giving his/her 100%.There is no alternative of Hard work, Practice as much as you can from good sources,It was BANKERSADDA in my case. Never feel dejected after failure,instead try to work on your weaknesses.Be Ruthless,confident and forget everything else. ALL THE BEST! In the end I want to dedicate my success to ADDA247 AND BANKERSADDA team. It was not possible without you. You guys are doing a tremendous job of taking the education to each and every part of our country and helping those who can’t afford high fees of coaching institutes. Thanks Aditya for sharing your Success Story with us. Adda247 wishes you good luck for the bright future ahead.